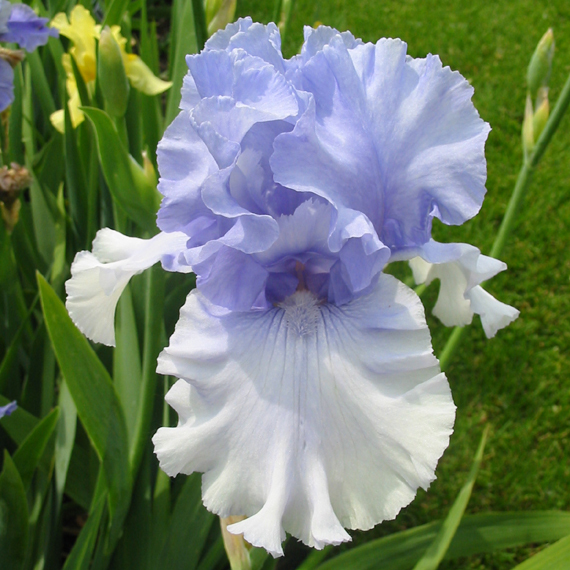 DESCRIPTION: S. blue lavender wash; F. blue white with blue lavender washed center; beards light blue, frost tipped; ruffled. 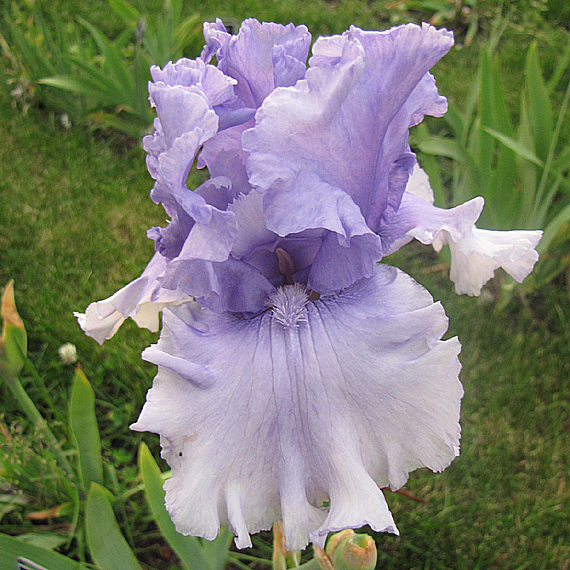 From the 1994 Schreiner's Iris Lover's Catalog: Cascade Springs' pale sapphire color and bubbling ruffles suggest the cool effervescence of icy spring waters. 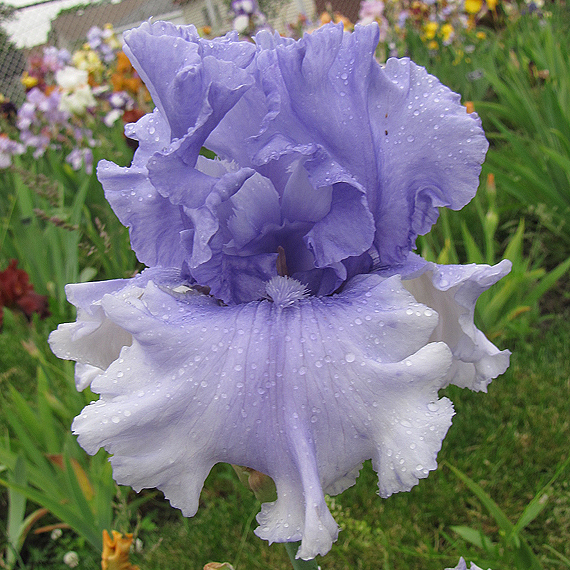 This vigorous offspring of Sea of Joy and Memphis Blues has excellent flower form. Note how the dark azure tones of the standards gently wash the falls and blend to white. 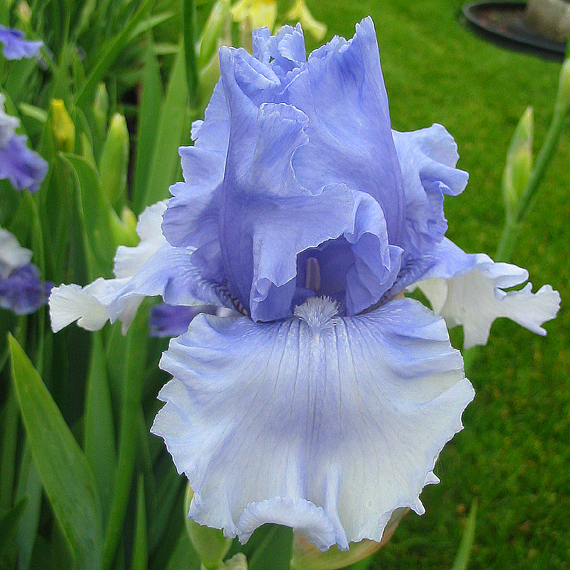 Frosty tipped beards enhance this cool vision in soft blue.